Students in the social work and Show-Me-Gold programs at Missouri Southern State University recently received end-of-semester honors. Eleven students were recognized for their completion of the Field Experience Coursework at Missouri Southern. The efforts of these students from the social work program represents more than 5,000 hours of social work services. Children’s Haven of Southwest Missouri was recognized as the Field Experience Agency of the Year. Robin Smith, of the Economic Security Corporation in Joplin, was recognized as Field Experience Site Instructor of the Year. Rose Miley, senior social work major from Duenweg, and Anneliese Beye, senior social work major from Joplin, were recognized as Field Experience Students of the Year. Two students in the Show-Me-Gold National Guard Leadership Program received commendations at the military ball held recently in Billingsly Student Center. Kenneth Kingcade, junior general studies major from Webb City, received the Army Commendation; Caleb Albright, senior criminal justice major from Granby, received the Missouri National Guard Commendation. The commendation medal honors National Guard members who demonstrate outstanding service. 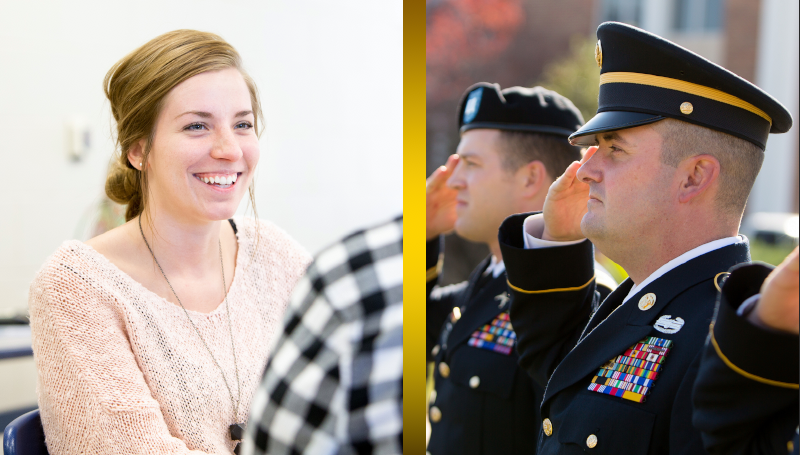 Students participating in the Show-Me-Gold program must satisfy admissions standards of both Missouri Southern and the Missouri Army National Guard. The spring semester marks the final one for Captain Chase Phillips, professor of military science and coordinator of the Show-Me-Gold program. He has accepted a transfer to act as aide-de-camp to Major General Steven Danner, commanding general of the Missouri National Guard. Phillips has been at MSSU since 2014.